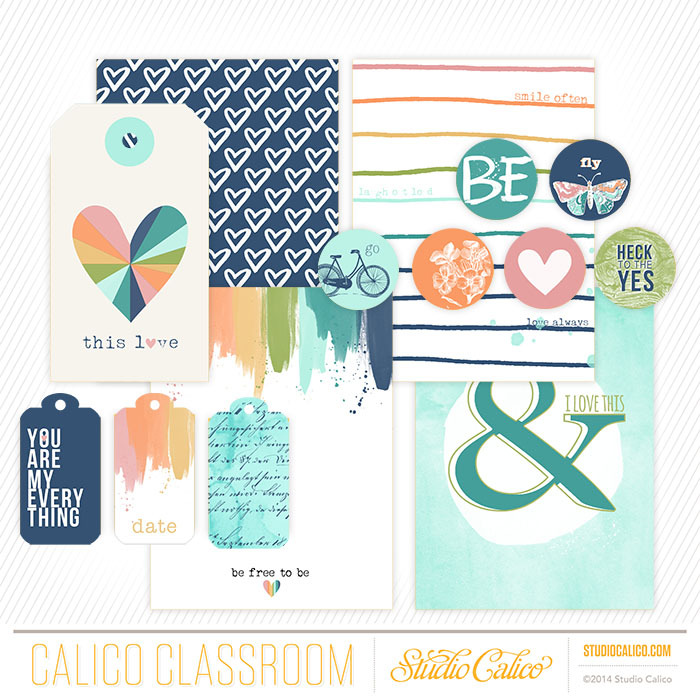 mixed media class has started at studio calico and its filled with lots of inspiration and tutorials from celine, ania maria and other talented contributors! 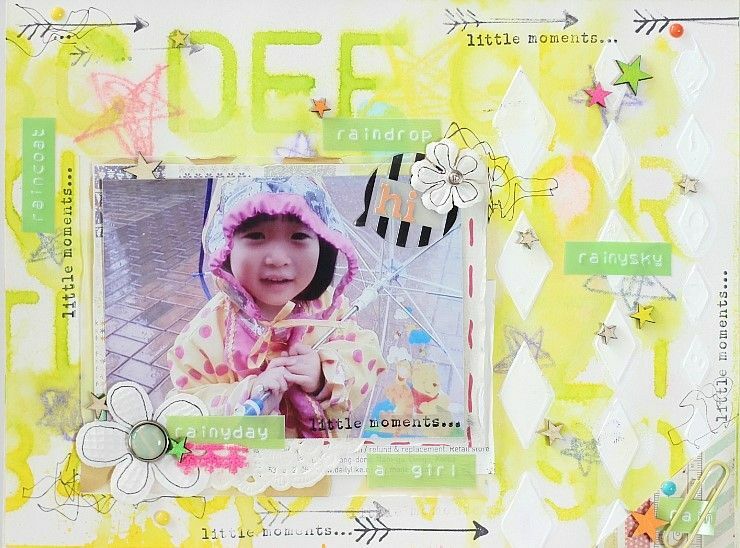 most importantly, i am blown away by the layouts and projects from the class participants! 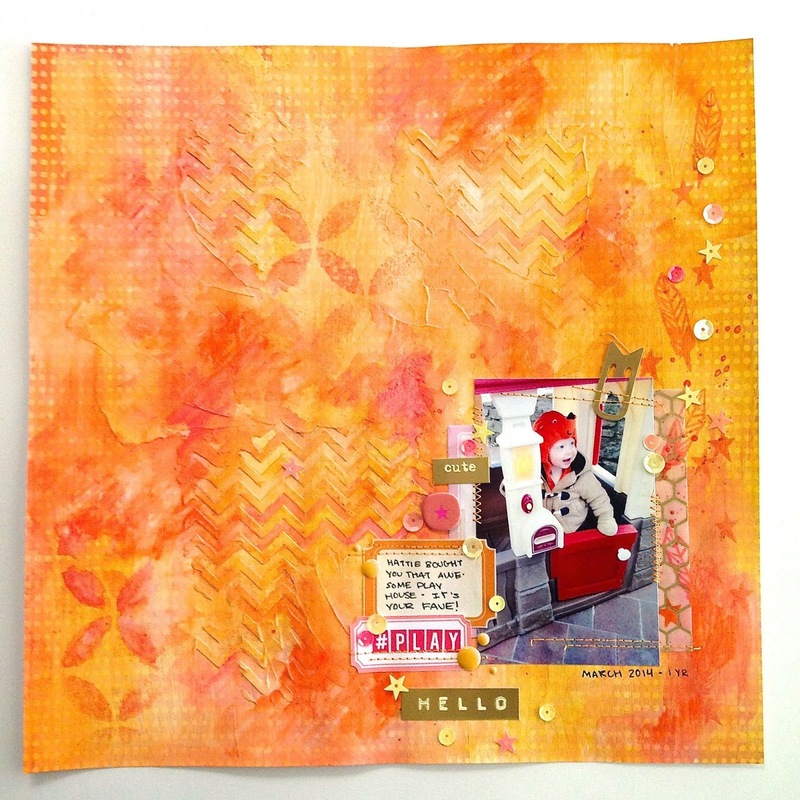 now, everyone is a master of mixed media after just 1 week in the class! here are some layouts of the many layouts i love from the class gallery! to sign up or find out more details of this class, you can click here. 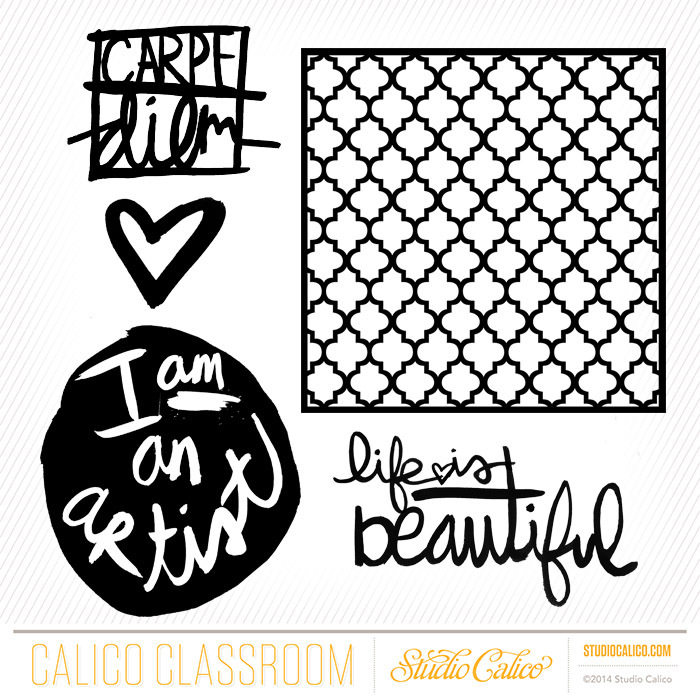 you will also be happy to know that the studio calico shop is stocked up with supplies for this class! here are some of the items i bought! 1 | neocolor II - there's a lot of discussion how these compare to gelatos. guess i will only know after i tried them! 2 | gelatos - i've been wanting to get this set for the longest time! i have a set of 4 and i have been using them regularly so i guess it's time for me to get more colors! so glad this is available at studio calico as it's extremely hard to find in singapore. 3 | white gesso - i have been using this for some time. it prepares the surface for paint. love the texture it creates. 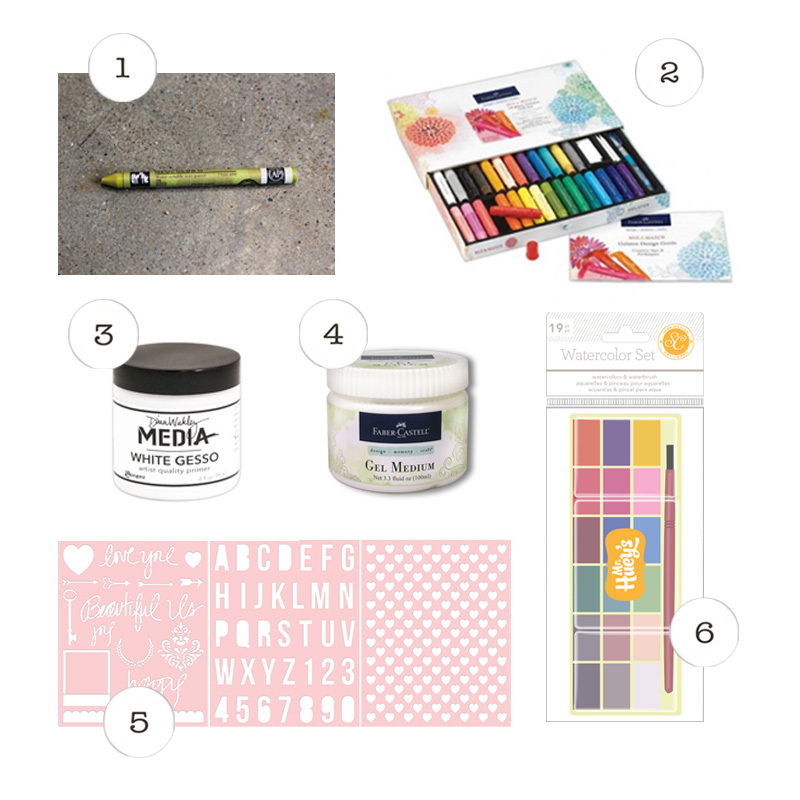 i usually use it to tone down patterned paper before using them as background for my layouts. 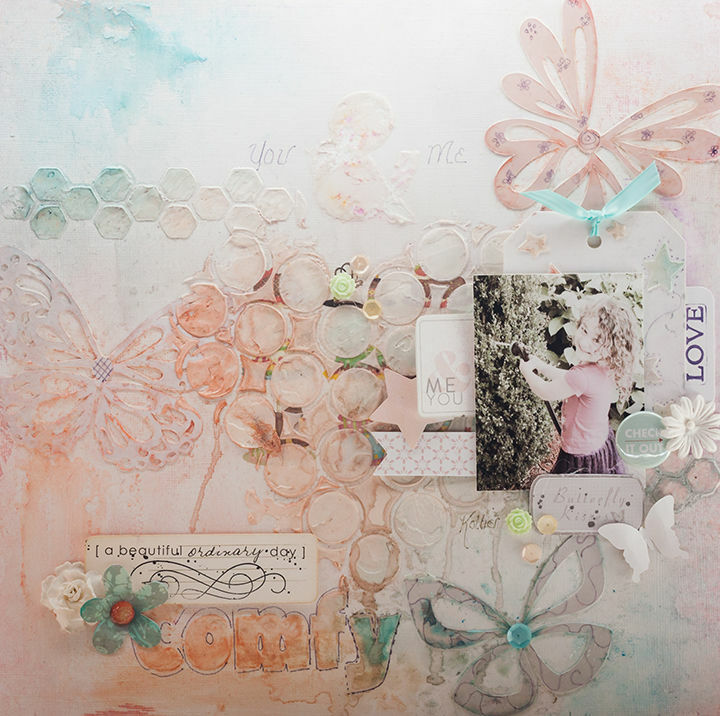 5 | sweet nothings stencil by teresa collins - there are 3 designs to choose from! some of these shop items like neocolor II and mister huey's watercolors set will be restock soon. be sure to click on the notify button so that you will be informed when they are back in stock. thanks for dropping by and i hope to see you in the class!